…are not necessarily the biggest one. This is evident now that Uber’s S-1 Form is released. The table above includes the principal shareholders, i.e. those >1% among the board members and those >5% non-board. 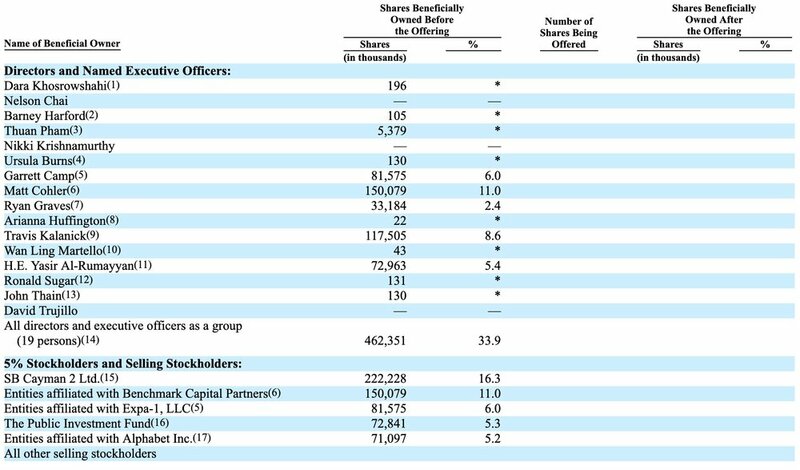 One can see that the VC that barked loudly against Benchmark during the infamous founder/shareholder fight that led to Travis resigning is not even listed here. Dogs that bark the most tend to be smaller types.